Welcome back everyone and let me start off by saying Thank you all so very much for all of your lovely comments. It makes me very happy to know that you are enjoying the 31 Days of Halloween that Terra and I are putting on for you. As you know the more you comment and participate in our challenges the more entries you get for the HUGH blog candy!!! Also if you add one of our blinkies from the sidebar to your blog and let us know about it you will get even more entries! On to todays project... At least twice a month the Hubby and I go out to thrift stores and flea markets, we would go more if he got his way. Anyway one such day we ended up at the Habitat for Humanity Resale Store and I gound these cute litte octagon shaped tiles. I thought, there has got to be something I can do with those and hey they were only 25 cents each so I picked up a few dollars worth. Well I figured out what I was going to do with them a couple of days ago and you get to see the results. 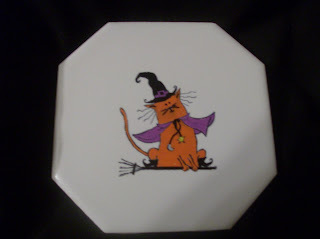 I decided that I was going to make coasters with them so I called everyone into the craft room and told them to pick out their favorite Halloween stamps so that each of us could have our own coaster! Of course my Daughter picked out the Skull and my son the cat. For the skull I used alcohol inks, slate, currant, and meadow to dotted them all over. Then stamped the image with SU white craft ink and then embossed with white embossing powder! The cat was stamped with black stazon and then colored in with paint pens. The pumpkin patch is for me and the hubby, I only took a picture of one though. It was also stamped in stazon and colored with paint pens. I then sprayed them all with a matte sealer so that they wouldn't peel, or chip when used. 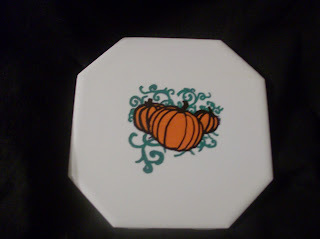 Now I am imagining all of the things I can do with coasters for every holiday or season!! 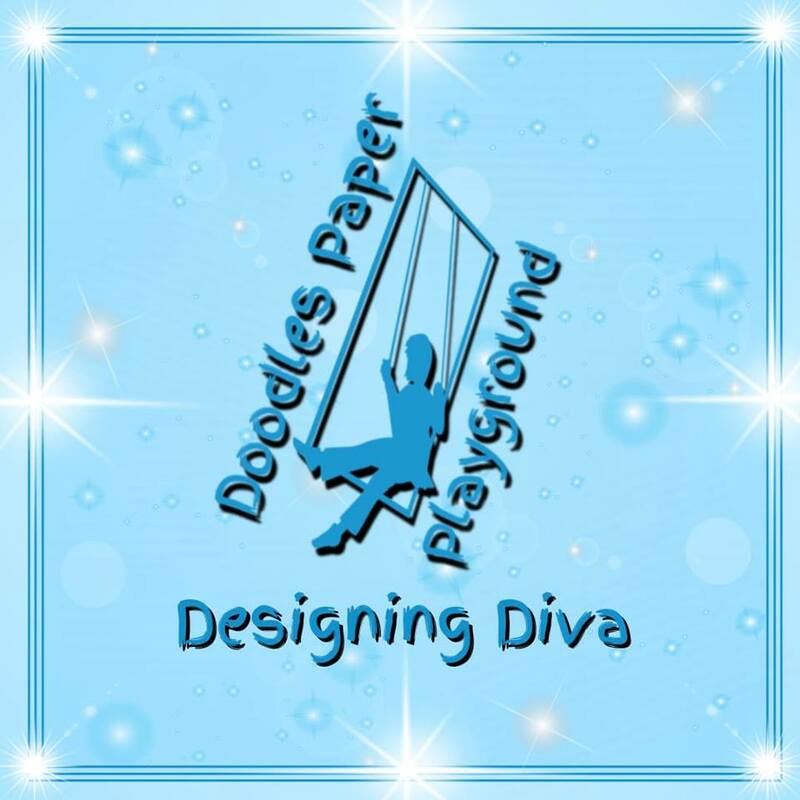 You know the drill...now that you have seen my project and commented hop on over to Terras at Smeared and Smudged to see what freakishly awesome project she has for you today! these are great! i love going to flea markets and picking things up i can alter! can't wait too see if you do something with them for christmas! I like the cat the best. Are the tiles glazed? Stitchinwitch, Yes I can adopt you!!! LOL The more the merrier! ldfdesign, I saw your blinky! Thank you very much for adding it to your blog. Kat_RN yes they are glazed...I like the cat the best also, but the kids each wanted their own so that is what I gave them!!! Another cute idea. Love that you make everyone their own personal coaster with their favorite stamp. great idea for a holiday gift! 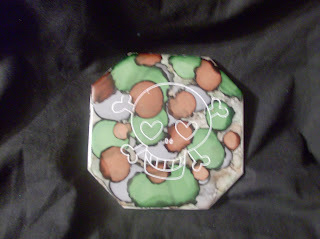 Heres the link to my blog - posted your skelly blikie!! Thanks Gwen for adding our blinky!!!! I am so happy you all like this!